City Council passed a short-term plan for the Harley Clarke Mansion at their Monday meeting. For years, the community has been debating the rightful use of the controversial property, at 2603 Sheridan Rd. City Council voted Monday night to fund some basic renovations for the Harley Clarke Mansion, with plans to reopen, following years of debate over what to do with the property. Under the new plan, the city retains ownership of the mansion and the coach house at 2603 Sheridan Rd., and the city manager is authorized to use up to $250,000 for immediate improvements to the building. This is a change from a proposal in the fall that allocated of $500,000 for improvements. 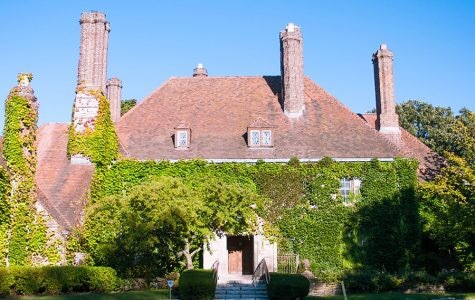 The Harley Clarke Mansion has been a controversial topic in Evanston since 2012, when city officials decided to put the mansion up for sale rather than pay for renovations and upkeep charges. However, no proposal for redevelopment passed through the council, and the mansion has sat empty since the Evanston Arts Center moved out in 2015. In October 2015, the council voted to hold off talks on what to do with the mansion until the state budget impasse was resolved. Ald. Donald Wilson (4th) said the council’s plan is about stabilizing the building. “It needs a little bit of love and attention but it’s a perfectly good building that we can use for perfectly good uses,” Wilson said. Although the plan approved Monday night was an updated version of a proposal put forward by Wilson last fall, a few aldermen credited Ald. Eleanor Revelle (7th) with requesting the city open the mansion for tours in August. Ald. Ann Rainey (8th) praised the change to the fall proposal, halving the amount city money toward improvements to the mansion. Under the new plan, the city manager is authorized to use the property for city-sponsored summer recreation activities for 2017. The plan also includes making the property regularly open to the public in 2018 and directing the Parks and Recreation Board and Lighthouse Landing Complex Committee to develop a plan for the future of the property. A Harley Clarke account wil also be created in the Evanston Parks Foundation to take donations. Although the mansion will continue to stay in city hands for the time being, there is potential for that to change. “Personally I don’t want to eliminate any possibilities,” Wilson said.